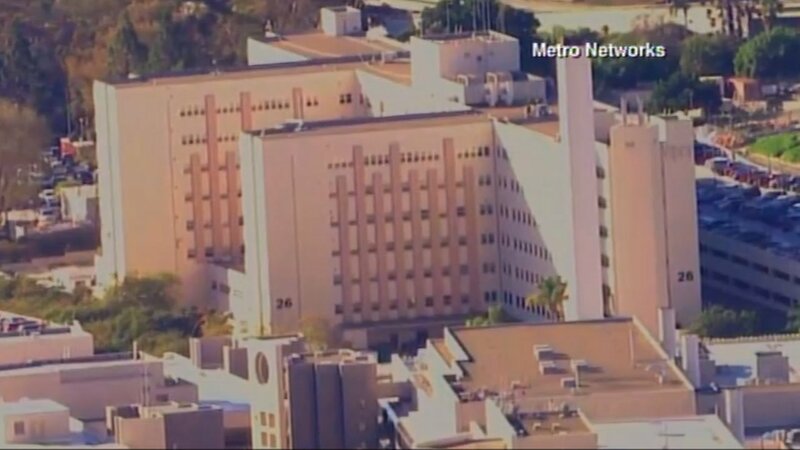 SAN DIEGO, California (WABC) -- What was thought to be an active shooter situation at the Naval Medical Center in San Diego appears to be a false alarm. Jon Nylander, spokesman for Navy Region Southwest, said first responders and the Navy working dog units have conducted an initial top-down inspection of the building and have not located any casualties or evidence of a shooting having taken place. Although a secondary, more thorough floor by floor inspection taking place at this time. The gunshot were heard by one person in Building 26, which houses offices and barracks for wounded sailors and Marines as well as a gym. As a result of the report, the center went into lockdown and a shelter-in-place order was issued. Those remain in effect. "An active shooter has just been been reported in building #26 at Naval Medical Center San Diego. All occupants are advised to run, hide or fight. All non-emergency response personnel are asked to stay away from the compound, located at 34800 Bob Wilson Drive, San Diego, CA 92134"